This year I tried something new: I participated in a really really neat thing called the Back to Basics Bundle. The idea behind this concept is to gather all kinds of nifty information from many different people into one big, affordable, convenient e-package. This year there are over 70 ebooks, online courses, and other miscellaneous offerings. Yowza, it’s cool. 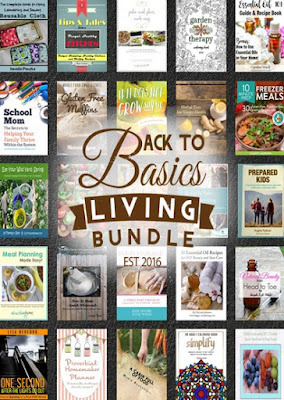 The nice thing about this bundle is the writers are all hands-on experts in cooking or building or gardening or homeschooling. Most if not all have well-known websites (the Survival Mom, the Organic Prepper, etc.). Frankly, for $29.97, you could do a lot worse, especially since you essentially get a whole self-reliance library in one fell swoop. You even have 30 days to review the material and get a refund if you aren’t happy. For those who prefer to download things directly to their Kindle, instructions are here. But I did something stupid on my end. 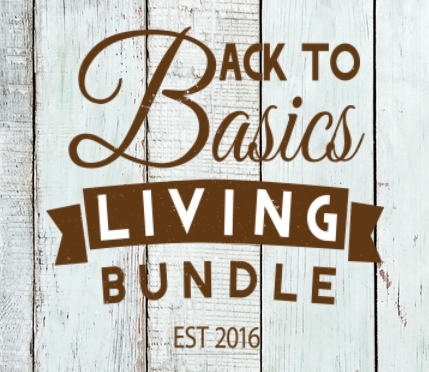 This bundle is only sold for seven days, and five of those days are already gone. In other words, this bundle is only available through Sunday, January 22. My bad, I got caught up on lots of stuff this week and simply forgot to announce it. So – if you’re interested in what I believe is an amazing deal with an impressive amount of information, click here. Download your info. Then let me know what you think. And happy reading! When I go to the website it shows the flash drive costs $30 not $25. The flash drive only is $54.97. I think you were looking at the online download AND the flash drive, which is $59.97. I think you ment to say Sunday the 22nd not the 29th. Oops, you're right! Thanks, I've corrected.